Buy Elica Vetro Glass Top 3 Burner Gas Stove (703 CT VETRO BLK) @ 49% Discount. Designed with popular durable finish standards to ensure genuine & rigid performance. 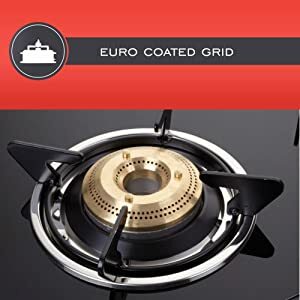 The Euro coated grid supports also prevents the pan from chipping off while providing astonishing care while you cook. Crafted using toughened glass top which not only makes it durable and long-lasting but also beautifies the aesthetics of your kitchen. The material with which the glass top is made imparts a lot of strength to it and prevents minor breakage with ease. Outlined with 2 Medium and 1 Small size burners to fulfill all your cooking needs. The high-quality burner gives safe & time-saving cooking experience with consistent flames. To offer unmatched durability & reliability, the Elica 703 CT VETRO Gas Stove comes with Stainless Steel Support Plates. The plates are perfectly designed to enhance its sturdiness. Featured with easy to operate Knobs. The knobs function smoothly and are designed to be super stylish to complement the gas top. 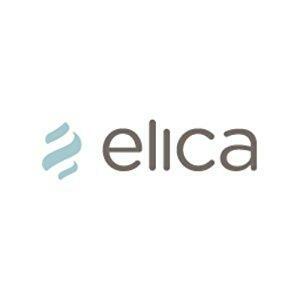 Elica SpA formed a joint venture Elica PB India Private Limited in Indiain 2010. The manufacturing unit in India in located in Pune, Maharashtra. This state-of- the-art manufacturing plant is well equipped with machinery, automated assembly lines, and equipment imported from Italy. The Company is all set to revolutionize the kitchen hood industry in India. Outlined with premium finish glass top, it offers a rust resistance texture while delivering long lasting performance. 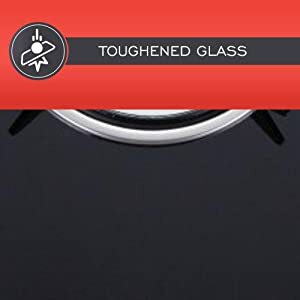 Toughened glass with 2 years warranty, enhances the aesthetics of the stove while ensuring durability and safety. 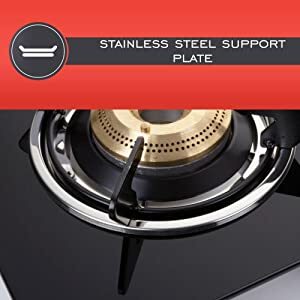 Stainless steel support plate below the glass maintains its sturdiness and durability equipped with 3 distinct sized burners; 1 small and 2 medium for your varied needs. 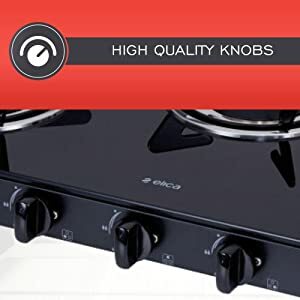 This manually operated gas stove comes with smoothly operated knobs. Euro coated grid supports help to keep your pans and pots stable. 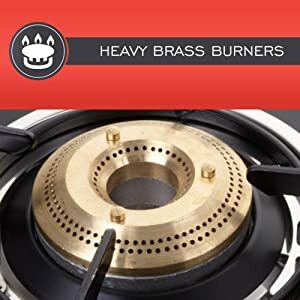 It makes your burner more reliable and ensures that it looks evergreen. 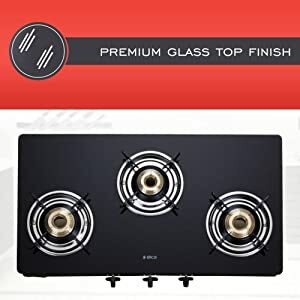 Best Cheap Deals For Elica Home & Kitchen, Grab Cheap Elica Vetro Glass Top 3 Burner Gas Stove (703 CT VETRO BLK) Online.